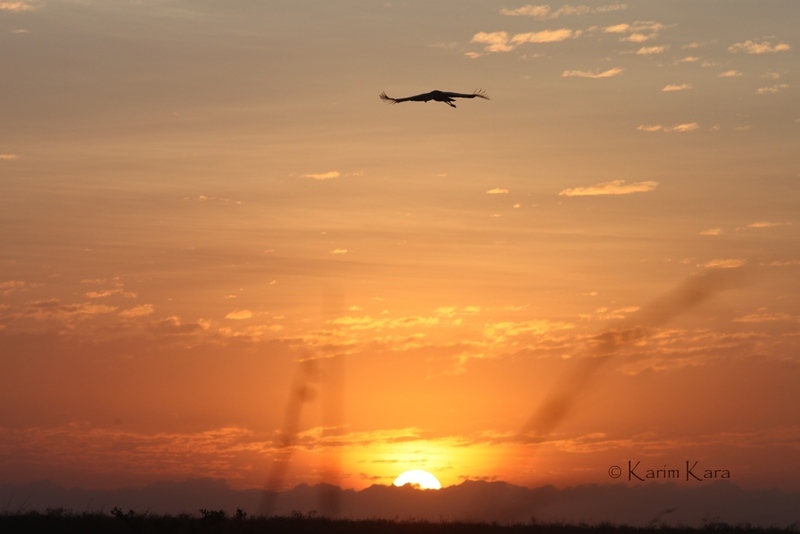 A Nairobi National Park Escape is many things for many people, for me, being a bit city bound at the moment, a fantastic little break from the city and ‘from it all’. And the best reason to go is when a dear friend from overseas is visiting! So we left early in the morning and caught a brilliant sunrise which set the stage for a lovely few hours in ‘the bush’. Driving passed big herds for zebra’s and still sleeping buffaloes, we found giraffes posing for us in the emerging sunlight. A photographers dream! People go to see ‘the exciting’ animal, lions and rhinos in the park, which, of course is absolutely amazing, but for me it’s also just driving slowly around in absolute peace and absorbing nature and it’s beauty. Which, considering being literally surrounded by the ever crowing city of Nairobi, is a miracle in itself. It was time for a little snack so we stopped at one of the picnic sites and enjoyed the views, until baboons decided to head our way and we saw them along way coming. We made for the car just as they approached……you don’t want to mess with these guys! Period! 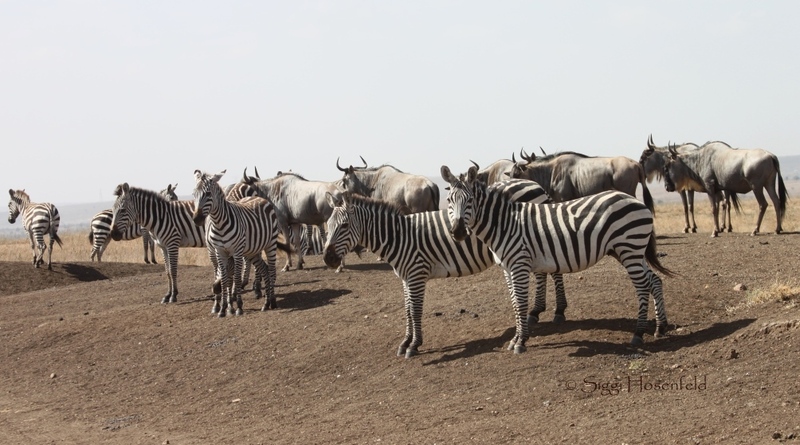 On we went, to look for ‘the exciting’ one’s and along the way found many more Thomson’s Gazelles, a few Wildebeest, numerous beautiful Zebra’s , Giraffes with young ones, Buffaloes, Coke’s Hartebeest, Africa’s largest antelope – the Eland, various beautiful birds and then we reached Athi Basin Dam. There we found a whole group of Ostriches visiting, a stunning Grey Crowned Crane couple, a Crocodile which got away from us before we could take a photo and a couple hippos hiding inside the pool…the highlight of the day! It was getting later in the day and subsequently hotter, and the animals went for their rest, so we decided to call it a day and headed slowly out, with a last stop at the picnic side overlooking the park. Perfect end to a lovely Nairobi National Park Escape and my friend felt like she got a little sense of what ‘the bush’ is like. Next time I’m taking her for a ‘serious’ safari!! 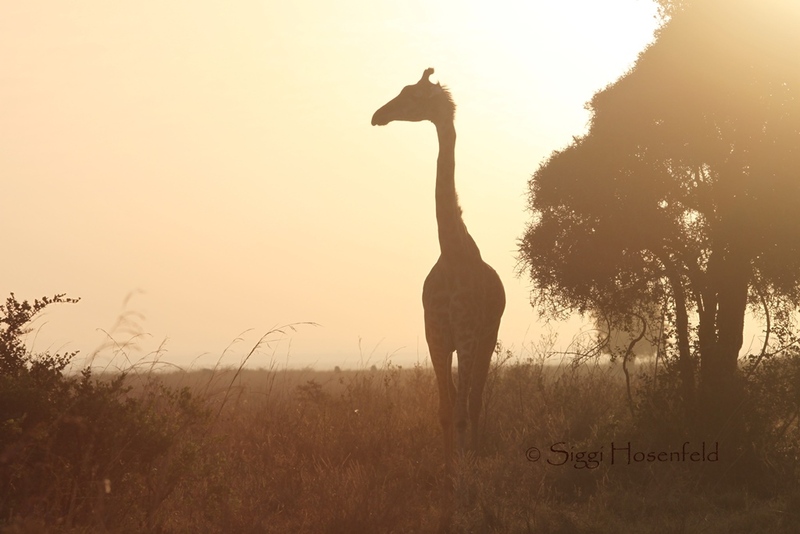 A giraffe in the morning light...posing....can it get any better than this?! 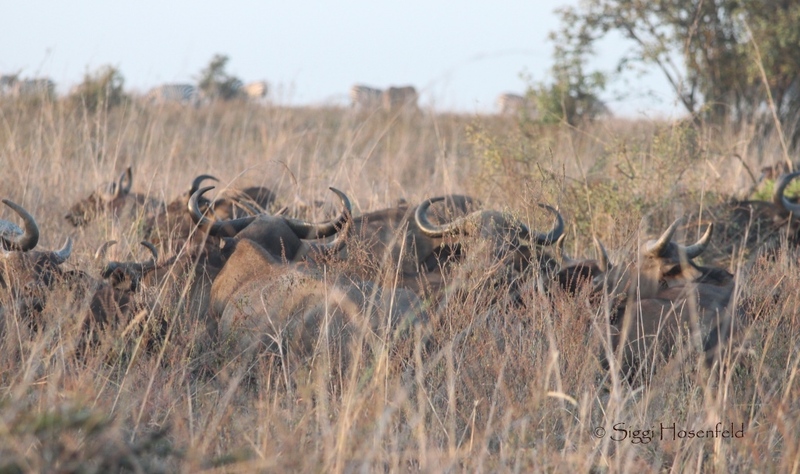 A big herd of buffaloes still relaxing and chilling early in the morning. Always good to give these guys the respect they deserve....hence, give them space. Where are we going to head today? Whats the plan? What are YOU looking at? 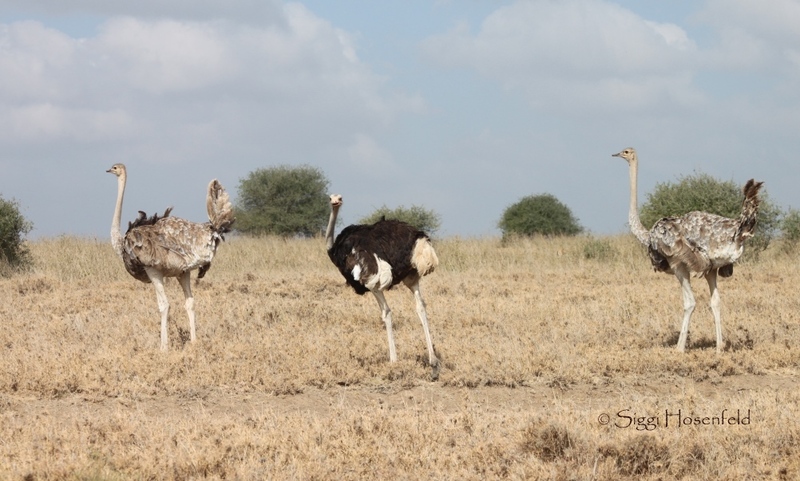 Two female Ostriches and one male off to do their daily activities. 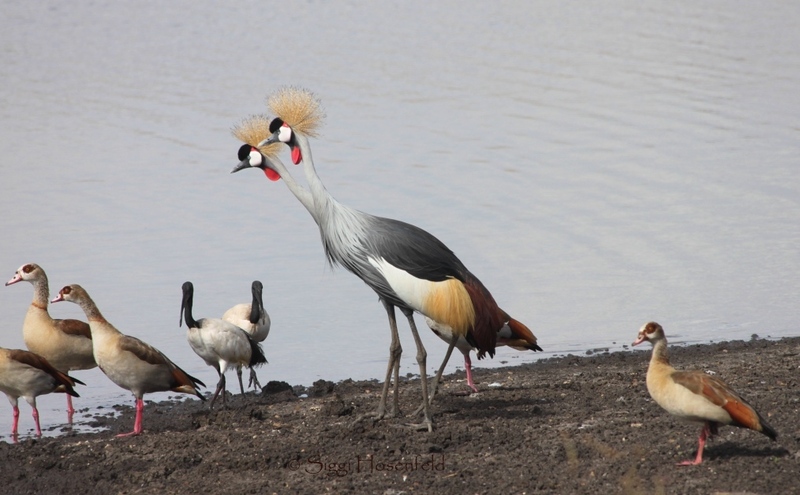 Lovely pair of Grey Crowned Cranes with friends visiting Athi Basin Dam! The mentioned crocodile is lurking in the water, a bit out of sight, just behind them. 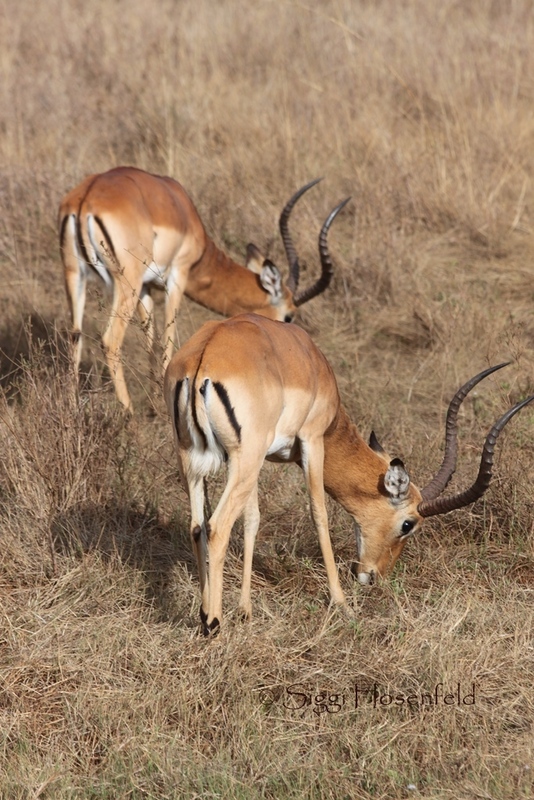 Beautiful male Thomson's Gazelles busy grazing, while the females taking care of the offspring. 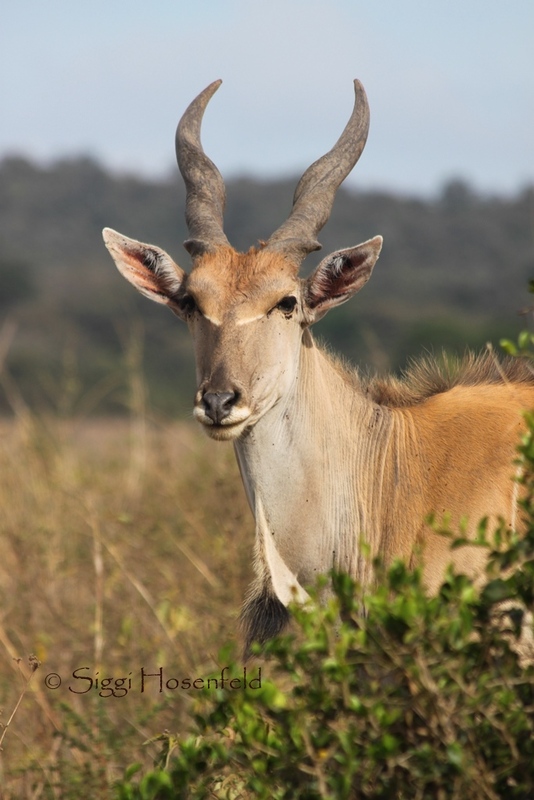 The ever so lovely Eland! A perfect model for photography and 'head-shots' don't you think?! 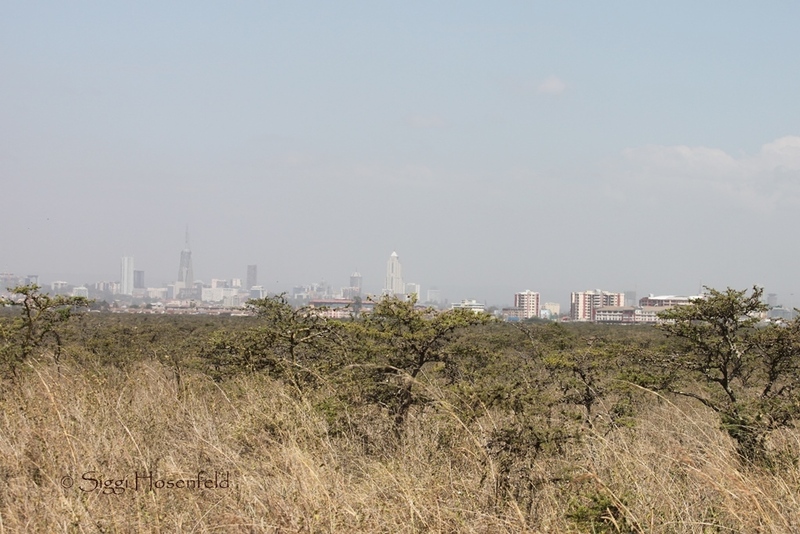 Nairobi National Park and the city lurking in the distance..